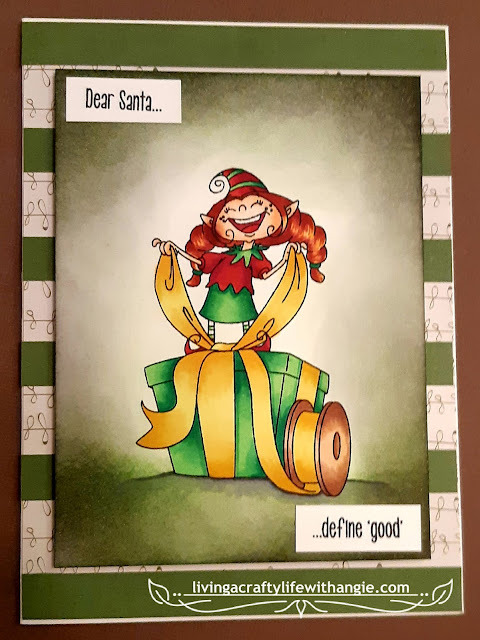 This cutie is one of my favorite cards that I've made. The colors pop off the white dot embossed card stock and I was fortunate enough to have found a great cloud patterned paper to add a special touch. The stamp and die set I utilized was from Ali Express. I used a square die in order to make the window. Foam squares pop up the die cut pieces for added dimension and visual interest. 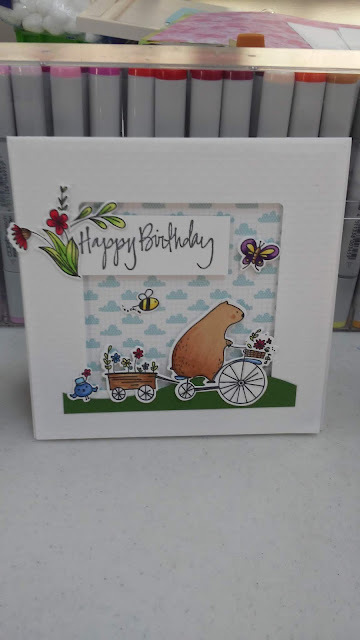 While most of my cards are rectangle for this one I made a square card that was 5 x 5.